Irish boyband, Westlife have revealed today (April 12) that their first album in nine years, ‘Spectrum’, will be released, on the 6th of September 2019. Westlife have an exciting and busy year ahead, as it was revealed that the band will be embarking on an extensive tour this summer, ahead of the release of their comeback album, ‘Spectrum’, this autumn. 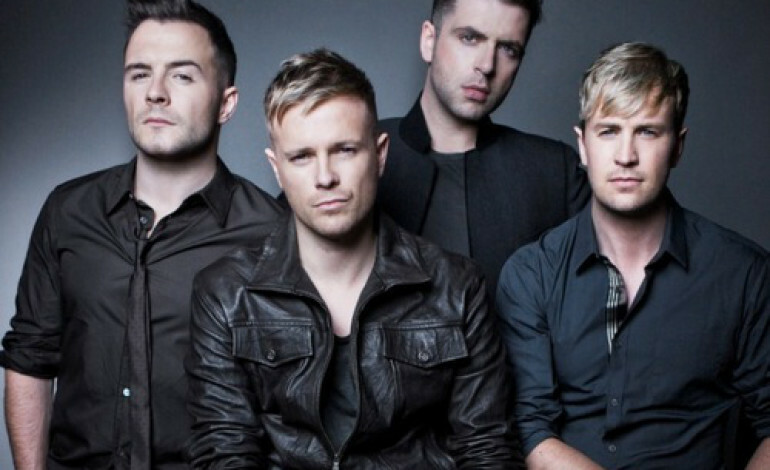 The boyband, made up of Shane Filan, Nicky Byrne, Kian Egan, and Markus Feehily have confirmed their first studio album since the release of 2010’s ‘Gravity’ will drop on the 6th of September 2019. The groups comeback comes after they took a hiatus, which began in 2011, and lasted until October 2018 when they reunited, bringing much excitement to fans. The 11-track album, ‘Spectrum’, which was recorded in Dublin, LA, and London, cements the group’s return to the international music scene, on the exact day they mark the twentieth anniversary of the release of their first ever UK single, ‘Swear It Again’, which was released on the 12th of April 1999. Their latest album, ‘Spectrum’, was written and produced by hitmakers such as Steve Mac, Ed Sheeran and James Bay. The album showcases the band’s stunning vocals with a collection of fresh pop anthems and moving ballads, including the amazing first single, ‘Hello My Love’, of their music comeback as well as their current hit, ‘Better Man’. Speaking of the album, the band, said: “We are making new fresh pop music for old and new fans alike and are so excited to share ‘Spectrum’ with everybody.” The band added: “We’re all driven by trying to create the best album of our careers. Our fans deserve the very best version of Westlife possible and with this album we feel that we’ve achieved that. The news of the release date of their latest album, ‘Spectrum’, follows the announcement of their 25-date tour of the UK and Ireland. Their comeback not only include their latest album, but their fastest-selling UK and Ireland tour of all time, cementing Westlife’s position as national music treasures. The tour, which will celebrate Westlife’s 20th anniversary, will see the band hit the road, in Belfast, on the 25th of May 2019, heading to venues in Manchester, Newcastle, Glasgow, Sheffield, Leeds, London, Nottingham, Birmingham, and Liverpool, before concluding, in Dublin, on the 6th of July 2019. Westlife’s album is available for pre-order now and their UK and Ireland tour can be seen in full below.